Opinions are divided on whether the new logo is actually an improvement. Armin of Brand New praises design firm Original Champions of Design for hewing close to Saul Bass's 1978 logo — he's also a fan of the added bangs, new lips, and "perkier nose." But Mediabistro's Stephanie Murg calls the new hairdo "an awkward tuft of bangs," and I have to agree. It's not even clear that the extra green dollop is hair — at some sizes, it looks like a hat, or sunglasses, or a bite taken out of the girl's head. They've done a great job of changing what they do and providing services and opportunities especially to those who are generally underserved and/or in rural areas. They have not done a good job with rebranding and being more than cookies even though they've enlisted endless consultants/branding specialists to do it. While we are proud of our $700 million cookie business run by girls, we offer so much more than that, and this new work is designed to let people know about all the new and exciting things girls do every day as Girl Scouts. The Scouts' press contact hasn't returned my call yet, so I can't say for sure what the "360 degree marketing program" that's supposed to accompany the new logo will entail. 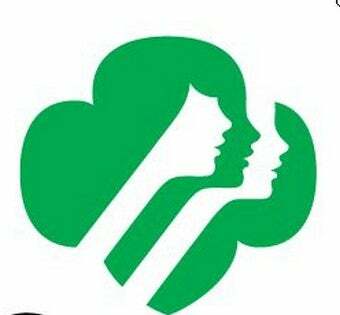 Whatever the case, the Girl Scouts are going to need more than a new hairdo if they want to show everyone they're better than their baked goods.